About The Size Of The Enemy? “11 Since all these things are thus to be dissolved, what sort of people ought you to be in lives of holiness and godliness,” 2 Peter 3:11, English Standard Version (ESV). Thank you for joining us, as we prayerfully and faithfully continue the Feast in 1 Samuel Chapter 17; “Goliath’s challenge. (1-11) David comes to the camp. (12-30) David undertakes to fight Goliath. (31-39) and goes to meet him. (40-47) He kills Goliath. (48-58)” – Matthew Henry Concise. Today we see what it means to trust the most high God, praise God! “22 And David left the things in charge of the keeper of the baggage and ran to the ranks and went and greeted his brothers. 23 As he talked with them, behold, the champion, the Philistine of Gath, Goliath by name, came up out of the ranks of the Philistines and spoke the same words as before. And David heard him.” I Samuel 17:22-23, ESV. David didn’t look at the size of the enemy. Just as David has faith in the God of his fathers. As he has trusted the Lord God to protect him before. We should not worry about the size of the enemy; God will deliver the enemy into our hands. Let’s just keep the first thing first! That is salvation (John 3:16) through the blood of the lamb, Jesus. If the Lord is willing I’ll send and post the Feast again tomorrow. Stand On The Word Of God! for his steadfast love endures forever.” Psalm 136:1,26, English Standard Version (ESV). Thank you for joining us, as we prayerfully and faithfully continue the Feast in 1 Samuel Chapter 16; “Samuel sent to Bethlehem to Jesse. (1-5) David is anointed. (6-13) Saul troubled with an evil spirit, is quieted by David. (14-23)” – Matthew Henry Concise. Today’s reading of the feast will stand alone, remember to read it prayerfully. We thank the Father God for salvation through the blood of the lamb, Jesus. “14 The friendship of the LORD is for those who fear him, and he makes known to them his covenant. 15 My eyes are ever toward the LORD, for he will pluck my feet out of the net.” Psalm 25:14-15, ESV. Thank you Jesus for opening your your Word to us! Keep the first thing first! That is salvation (John 3:16) through the blood of the lamb, Jesus. If the Lord is willing I’ll send and post the Feast again tomorrow. “8 Oh give thanks to the Lord; call upon his name; make known his deeds among the peoples!” 1 Chronicles 16:8, English Standard Version (ESV). Thank you for joining us, as we prayerfully and faithfully continue the Feast in 1 Samuel Chapter 15; “Saul sent to destroy Amalek. (1-9) Saul excuses and commends himself. (10-23) Saul’s imperfect humiliation. (24-31) Agag put to death, Samuel and Saul part. (32-35)” – Matthew Henry Concise. he has also rejected you from being king.”” I Samuel 15:22-23, ESV. This wasn’t Burger King Saul was serving, he can’t have it his way! We must, wait on God, and obey His voice. Don’t seek God’s will and then ignore it. Seed God’s will, then do his Word. “17 For the kingdom of God is not a matter of eating and drinking but of righteousness and peace and joy in the Holy Spirit. 18 Whoever thus serves Christ is acceptable to God and approved by men. 19 So then let us pursue what makes for peace and for mutual upbuilding.” Romans 14:17-19, ESV. Have it God’s way! Keep the first thing first! That is salvation through the blood of the lamb, Jesus. If the Lord is willing I’ll send and post the Feast again tomorrow. “16 Let the word of Christ dwell in you richly, teaching and admonishing one another in all wisdom, singing psalms and hymns and spiritual songs, with thankfulness in your hearts to God.” Colossians 3:16, English Standard Version (ESV). Thank you for joining us, as we prayerfully and faithfully continue the Feast in 1 Samuel Chapter 14; “Jonathan smites the Philistines. (1-15) Their defeat. (16-23) Saul forbids the people to eat till evening. (24-35) Jonathan pointed out by lot. (36-46) Saul’s family. (47-52)” – Matthew Henry Concise. Jonathan and his armor bearer step out in haste and smites the Philistines. The Philistines were, by the power of God, set against one another. The more evident it was that God did all their defeat. Making a rash or unthoughtful oath king Saul forbids the people to eat till evening. Jonathan pointed out by lot because of his rash action and lack of communication. Saul’s family and kingdom bring him little solace, fighting continues on all sides. “47 When Saul had taken the kingship over Israel, he fought against all his enemies on every side, against Moab, against the Ammonites, against Edom, against the kings of Zobah, and against the Philistines. Wherever he turned he routed them. 48 And he did valiantly and struck the Amalekites and delivered Israel out of the hands of those who plundered them… 49-51 …52 There was hard fighting against the Philistines all the days of Saul. And when Saul saw any strong man, or any valiant man, he attached him to himself.” I Samuel 14:47–52, ESV. Saul’s lack of communication with God was the main problem in his kingdom. He wasn’t willing to, wait on God, and obey His voice. That reminds of the problems with nations and families in our land today, no communication with God or each other. People, politicians and families are more worried about themselves than God’s will. Thank you for joining me in praying for our nations, politicians, families and God’s will. Here is what we should be praying for; “14 if my people who are called by my name humble themselves, and pray and seek my face and turn from their wicked ways, then I will hear from heaven and will forgive their sin and heal their land.” 2 Chronicles 7:14, ESV. Keep the first thing first! That is salvation through the blood of the lamb, Jesus. If the Lord is willing I’ll send and post the Feast again tomorrow. Thank God For All Blessings! “28 Therefore let us be grateful for receiving a kingdom that cannot be shaken, and thus let us offer to God acceptable worship, with reverence and awe,” Hebrews 12:28, English Standard Version (ESV). Thank you for joining us, as we prayerfully and faithfully continue the Feast in 1 Samuel Chapter 13; “The invasion of the Philistines. (1-7) Saul sacrifices, He is reproved by Samuel. (8-14) The policy of the Philistines. (15-23)” – Matthew Henry Concise. We see the men of Israel stand against the invasion of the Philistines. Instead of waiting on the Lord Saul sacrifices. He is reproved by Samuel God’s prophet. The policy of the Philistines was to take captured tribes and make their blacksmiths into implement workers for them. Therefor Israel had no one to make their weapons of war. Just as we see all through God’s Word, there was consequence for not waiting on the Lord; “8 He waited seven days, the time appointed by Samuel. But Samuel did not come to Gilgal, and the people were scattering from him. 9 So Saul said, “Bring the burnt offering here to me, and the peace offerings.” And he offered the burnt offering. 10 As soon as he had finished offering the burnt offering, behold, Samuel came. And Saul went out to meet him and greet him. 11 Samuel said, “What have you done?” And Saul said, “When I saw that the people were scattering from me, and that you did not come within the days appointed, and that the Philistines had mustered at Michmash, 12 I said, ‘Now the Philistines will come down against me at Gilgal, and I have not sought the favor of the Lord.’ So I forced myself, and offered the burnt offering.” 13 And Samuel said to Saul, “You have done foolishly. You have not kept the command of the Lord your God, with which he commanded you. For then the Lord would have established your kingdom over Israel forever. 14 But now your kingdom shall not continue. The Lord has sought out a man after his own heart, and the Lord has commanded him to be prince over his people, because you have not kept what the Lord commanded you.”” I Samuel 13:8-14, ESV. Learn the lesson presented here in first Samuel, approach God with thanksgiving in Jesus name; “4 Enter his gates with thanksgiving and his courts with praise; give thanks to him and praise his name.” Psalm 100:4, ESV. Pray to God, wait on God, and obey His voice, there is no good reason to rebel against the Lord. If we encourage everyone to repent and wait on God then the person who reigns over us will wait on the Lord your God. Keep the first thing first! That is salvation through the blood of the lamb, Jesus. If the Lord is willing I’ll send and post the Feast again tomorrow. Let Your Choice Be God! “17 And whatever you do, in word or deed, do everything in the name of the Lord Jesus, giving thanks to God the Father through him.” Colossians 3:17, English Standard Version (ESV). Thank you for joining us, as we prayerfully and faithfully continue the Feast in 1 Samuel Chapter 12; “Samuel testifies his integrity. (1-5) Samuel reproves the people. (6-15) Thunder sent in harvest time. (16-25)” – Matthew Henry Concise. Samuels has his farewell, and testifies his integrity. Samuel reproves the people, for turning from God. Thunder sent in harvest time as a witness to God’s people. “13 And now behold the king whom you have chosen, for whom you have asked; behold, the Lord has set a king over you. ” I Samuel 12:13-14, ESV. I’ve watched the debates for the Democrats and Republicans on the television. All I can say is; pray that the Holy Spirit reveals for whom vote for. The good advice that the Israelites received from Samuel concerning them and their leader;”14 If you will fear the Lord and serve him and obey his voice and not rebel against the commandment of the Lord, and if both you and the king who reigns over you will follow the Lord your God, it will be well.” Samuel 12:14, ESV. Is great advice for our nation today. Let’s continue keep the first thing first! That is salvation (John 3:16) through the blood of the lamb, Jesus. If the Lord is willing I’ll send and post the Feast again tomorrow. “6 Therefore, as you received Christ Jesus the Lord, so walk in him, 7 rooted and built up in him and established in the faith, just as you were taught, abounding in thanksgiving.” Colossians 2:6-7, English Standard Version (ESV). Thank you for joining us, as we prayerfully and faithfully continue the Feast in 1 Samuel Chapter 11; “Jabesh-gilead delivered. (1-11) Saul confirmed in his kingdom. (12-15)” – Matthew Henry Concise. Samuel anoints Saul proclaiming him as King. The first fruit of King Saul was the saving of Jabesh-gileaking. We see God’s will done concerning King Saul, as the new King. 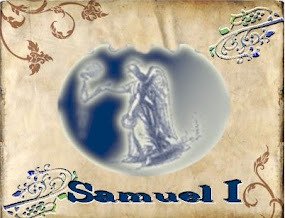 “12 Then the people said to Samuel, “Who is it that said, ‘Shall Saul reign over us?’ Bring the men, that we may put them to death.” 13 But Saul said, “Not a man shall be put to death this day, for today the Lord has worked salvation in Israel.” 14 Then Samuel said to the people, “Come, let us go to Gilgal and there renew the kingdom.” 15 So all the people went to Gilgal, and there they made Saul king before the Lord in Gilgal. There they sacrificed peace offerings before the Lord, and there Saul and all the men of Israel rejoiced greatly.” I Samuel 11:12-15, ESV. Let’s continue keep the first thing first! That is salvation (John 3:16) through the blood of the lamb, Jesus. If the Lord is willing I’ll send and post the Feast again tomorrow.